Named in honor of Alvah H. Chapman Jr., former chairman of Knight-Ridder media and one of South Florida’s most influential philanthropic and civic leaders, The Chapman Leadership Honors provides recognition to individuals who throughout their lifetimes have made significant contributions in business leadership and community building. The honoree is a distinguished, transcendent leader who is making a difference within their organization and in the communities they serve. At this event, the Center for Leadership presents The Transcendent Leader Award to an individual who has championed a cause that benefits our community and society at large. The awardee is also presents the keynote address at the event. The Chapman Honors is proudly presented by the Center for Leadership at Florida International University with support from its Board of Advisors and community partners. About Alvah H. Chapman Jr.
Alvah H. Chapman, Jr. was one of South Florida's most influential business leaders for thirty years?responsible in many ways for Miami's emergence as an international business center. A third-generation newspaperman, he came to Miami in 1960 to work for Knight Newspaper. He helped take the company public in 1969 and was the leading architect of the 1974 merger that created Knight Ridder in Miami. 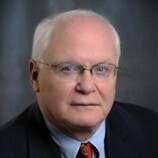 Chapman became chief executive officer of the company in 1976 and chairman in 1982. He retired as chairman in 1989 yet continued to serve on their board until 2000. During his tenure, corporate revenue tripled and The Miami Herald won 33 Pulitzer Prizes. After more than three decades of business leadership, Steven Jay Green was sworn in as the twelfth United States Ambassador to the Republic of Singapore on November 18, 1997. He concluded his service on March 1, 2001. During Ambassador Green’s term, he spearheaded a number of strategic programs that greatly enhanced U.S.-Singapore alliances in economic development, intellectual property, immigration and national security. Many of his accomplishments greatly expanded American business opportunities in Singapore and other ASEAN markets. 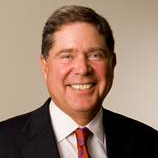 From 1988-1996, Ambassador Green served as Chairman and CEO of Samsonite Corporation. As Chairman and CEO from 1990-1995 he directed the strategic management and operations of Samsonite and its affiliates, American Tourister and Culligan Water. Samsonite and Culligan became separate public companies in 1995. In 1995, President Clinton appointed Ambassador Green to the President’s Export Council where he served on the Executive Committee and chaired the Strategic Communications Committee. Ambassador Green has been active in national civic affairs through the Green Family Foundation an organization dedicated to supporting social programs. Ambassador Green is Chairman & Founder of Greenstreet Capital Management and serves as Director of Knowledge Universe Learning Group, In addition; Ambassador Green is Chairman and CEO of K1 Ventures Limited, serves as Honorary Consul General of Singapore in Miami, Florida, formally served on the International Advisory Board of the Government Investment Corporation of Singapore, is Chairman of Guggenheim International and is on the Executive Committee of Guggenheim International and is a former Board member of Scripps Research Institute, one of the world’s largest independent non-profit biomedical research organizations. In June of 2009, Ambassador Green received an Honorary Doctorate degree from the School of Law of Florida International University and serves as a Trustee of the University of Miami. In 2013 he was awarded the Distinguished Civilian Service Award from the United States Navy and is a former member of the United States Secretary of the Navy Advisory Panel. ?In February of 2014, Ambassador was recognized for his outstanding contribution to Singapore and received the Public Service Star Award. Ambassador Green is married to Dorothea Langhans Green and has two daughters, Andrea and Kimberly. They are the proud grandparents of Steven Wesley and Olivia Tyler. Alberto Ibargüen is president of Knight Foundation which promotes informed and engaged communities by funding quality journalism, media innovation, community engagement and the arts. He is a graduate of Wesleyan University and the University of Pennsylvania Law School. Mr. Ibargüen was a newspaper executive in Hartford and New York City before serving as publisher of The Miami Herald and of El Nuevo Herald. During his tenure, The Miami Herald won three Pulitzer Prizes and El Nuevo Herald won Spain’s Ortega y Gasset for excellence in Spanish language journalism. He is as a member of the boards of PepsiCo, American Airlines and AOL and is a member of the Secretary of State’s Foreign Policy Advisory Committee. He is a former board chair of the World Wide Web Foundation, the Newseum in Washington, D.C and the Florida Philharmonic Orchestra. His 13 honorary doctorates include one from his alma mater, the University of Florida. His national honors include the National Association of Minority Media Executives award for “lifetime achievement in diversity” and the Inter American Press Association Commentary Award. He chaired the national Task Force on Minorities in the Newspaper Business, and was president of the American Society of Newspaper Editors and the Inter American Press Association. He and his late father are both in the Florida Newspaper Hall of Fame. He has chaired the Miami Art Museum, United Way and the New World School of the Arts, and is on the boards of the Florida A&M University, the Everglades Foundation and Americans for Immigrant Justice. He was the local convening co-chair of the 1994 Summit of the Americas, and co-founded a non-profit vocational-technical school in Port-au-Prince, Haiti. He and Roberta, a master’s graduate in social work from Barry, live in Coral Gables and have 3 daughters, 2 sons and 7 grandchildren.